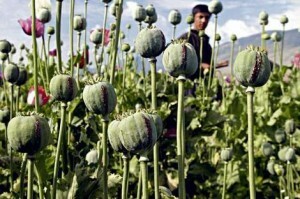 DAKAR, July 2012 (IRIN) – Upwards of 90 percent of the opium poppies in Myanmar’s northern region are grown in Shan State, even though farmers are aware that if they grow an illicit crop, it may be eradicated and they could lose everything Alternative livelihood support is needed if growers are to be weaned off this double-edged source of income. “Until recently, UNODC alternative development assistance, funded by the European Union and the governments of Germany and Japan, was limited to small development projects in just three south Shan townships – wholly inadequate to Shan State and Myanmar’s needs for improved infrastructure, markets, schools and sustainable livelihoods”, said Lewis. 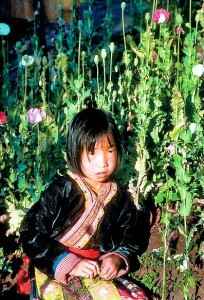 An opium survey by UNODC in 2011 points out that there has been a marked increase in the area under opium cultivation in Myanmar – from 38,100 hectares in 2010 to 43,600 hectares in 2011 – mostly in Shan State. 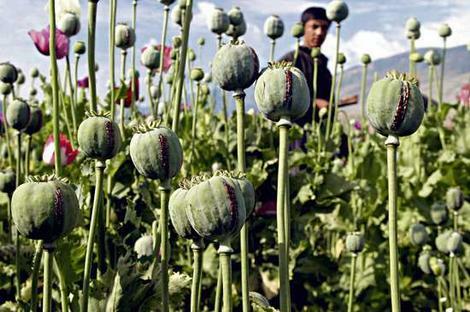 Yet the government has significantly increased its eradication efforts and a total of 6,124 hectares of opium poppy were destroyed there in 2011, compared to 5,316 hectares eradicated in 2010, the survey noted.